1. 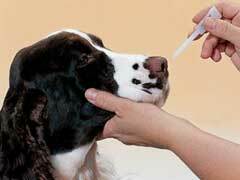 Know that the kennel cough vaccine is not always one-hundred percent effective. There is the slight chance that your dog will still get kennel cough, but if that occurs, the vaccine will greatly reduce the severity and length of the illness. 2. It is important to administer the vaccine before you have a dog illness diagnosis. Once your dog is sick, a vaccine can do nothing to help. 3. Vaccinations inhaled through the nose are the best prevention of kennel cough, as anything your dog breathes in will be targeted by the local vaccine. 4. Side effects of the kennel cough vaccine include soreness at the injection site, vomiting, hives, lethargy, breathing difficulties and, in the most extreme cases, even death. If you’re not comfortable with the idea of vaccinating your dog and prefer to take your chances, keep in mind that kennel cough is a self-limiting illness, meaning it goes away on its own, and that the best kennel cough home remedy is rest and tender loving care.